Dr. Jesse Sabatini Receives Prestigious Army Medal! We were recently informed that our IPS Vice President, Dr. Jesse Sabatini, has been awarded the U.S. Army Achievement Medal for Civilian Service for numerous contributions to the field of energetic materials in support of the U.S. Army mission. Our congratulations to Dr. Sabatini for receiving this honor! 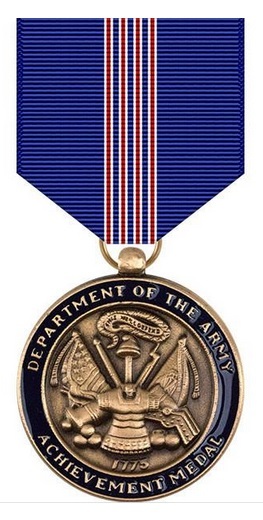 The U.S. Army Achievement Medal for Civilian Service.